Research is paying off in higher crop yields for organic farming. Catherine Badgley, Associate Professor for the University of Michigan, is demonstrating the potential to feed more people on less land. A local organic farmer in Ann Arbor, Michigan is able to produce 26 tons of fresh produce a year on only 3 acres of land. Research from around the world is showing that organic farming can produce as much as 4 times the amount of food as industrial Western farming practices. Can a community really support itself on locally grown food? The Hampstead community is not only growing some of its own food but using the fastest delivery method: walking. Fresh produce is grown at the Hampstead Farm just down the street from the Town Center. The Hampstead neighborhood development in Montgomery, Alabama is designed by Duany Plater-Zyberk and Company to “meet daily needs within a 5 minute walk.” Daily living needs accessible by a short walk from home include a market, shops, library, recreation center, and even a farm. The one major missing component for families is a school. After watching the documentary Food, Inc. (http://www.foodincmovie.com/), it inspired us to write this blog posting. Food, Inc. points out that only few companies control the majority of food supply in the U.S. Business practices employed by these companies elevate profits way above the health of their customers and employees. These companies seem to "own" the politicians who also favor the profits of a few CEOs over the health and well being of the citizens. Food, Inc. makes an interesting point of how local organic farms could be part of the answer to combat the precarious situation in the U.S. food supply chain and the associated related health issues. The concept of locally grown organic food is a great example of a sustainable soft path effort that fits perfectly into the Human Life Project for building family-friendly communities. The local organic food (including fruits, vegetables, grains, meat, dairy, eggs) has a number of advantages such as being healthier, reduced emissions from transporting the food, and supporting the local economy. The previous posts on Agriburbia are another example of locally grown food. 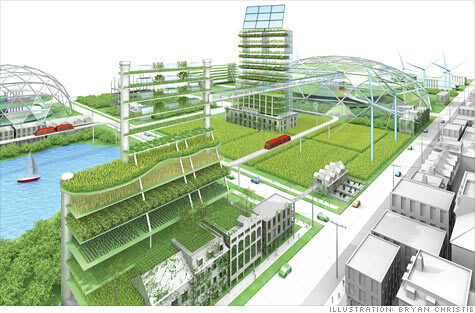 Could a city really produce enough food to support itself? For the moment, consider supplying a city with vegetables for the entire year. Homeowners could plant a small vegetable garden. Apartment dwellers could place plants on their balconies. Those with larger buildings such as corporations and schools could convert their roof to a "green" roof for growing food. 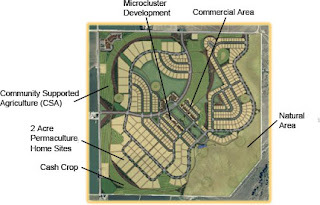 City open space could use the Agriburbia concept to convert unused open space including a portion of maintained lawns into a mini vegetable farm. For this concept to work, it would require residents to change eating habits. Instead of eating "fresh" tomatoes shipped from another nation during the local off season, they would eat local canned tomatoes. From a practical perspective, who is going to plant and harvest the food and then package the extra produce? Community involvement would be essential to its success. Volunteering might be a path to receive free and affordable fresh food. In today's paper (June 11, 2010), the Denver Post printed a letter that we wrote to the editor commenting on the feasibility of residential photovoltaic. This is in response to Ellen Schroeder Mackey's "The low-hanging fruit of energy savings" article on June 7. Mrs. Mackey's article is a nice reminder, but we think that her opening statement that photovoltaics are not within reach of the typical family is outdated. Until recently, we would have agreed as the initial costs were large with a payback period of 15 plus years. However, Colorado recently allowed residential solar leasing. We researched 4 companies in the last few weeks and as a result are beginning a solar lease program. All companies offer a 0 down option with monthly payments approximately equal to your current Xcel monthly payments. However, your monthly payment will stay the same over the next 20 years. With the current yearly Xcel rate increases, this can result in 20 year savings around $9000. We chose the pre-pay option which is more down, payback period of 6 years, but $0 monthly payments and an estimated 20 year savings around $17,000. Biomarkers is an ongoing discussion topic to identify key indicators in communities that lead to sustainability. The Mid-America Regional Council (MARC) group in the Kansas City area provides an excellent case study. 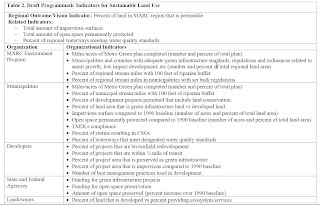 MARC identifies seven green infrastructure indicators for local communities and regional areas. 1. 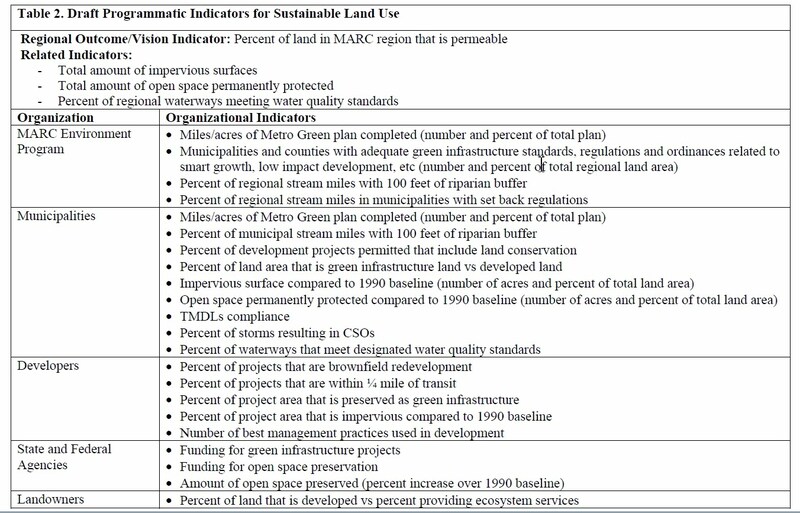 Sustainable Land Use: Percent of land in the MARC region that is permeable. 2. Sustainable Economic Development: Annual regional greenhouse gas (GHG) emissions compared to 1990 baseline. 3. Social Capital Investment: Percent of 3rd graders reading at the 3rd grade level. 4. Financial Well-Being: Percent of population in households with jobs providing self-sufficient level of income. 5. Health: Percent of population that is obese. 6. Safety: Percent of people who feel safe compared to the actual crime rate (change compared to baseline year). 7. Equality of Opportunity: Geographic concentration of poverty. 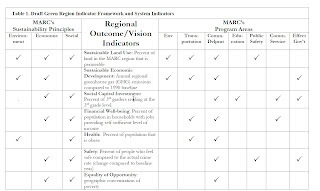 What sustainability indicators are in your community? The Human Life Project® is interested in finding a partner to implement a mechanism to automatically collect and display biomarker information. One thought is that maybe a College Professor with a Ph D student that is looking for a thesis project. As with many efforts, securing some funding is an open topic. We are also looking for partners to define more biomarkers. Let us know what your thoughts are on the question: What characteristics define a family friendly community ? "Families are the most likely population group to reinvest in their community through time, money, and other forms of civic engagement." "Families are important to growth, sustainability, and diversity. They build vibrant communities." One of the goals of the Human Life Project® is to write down a list of features for the "ideal" family friendly sustainable community. Hopefully we will get to this in the near future, but for the moment, these features will have to be inferred from the other postings. In previous posts, sustainable patterns encompass environmentally-friendly practices, socially related practices such as strengthening relationships, and an overall effort to establish healthy living patterns. What activities do you as an individual or family engage in to be more sustainable? As we started to compose our list, it was very short but grew in length rapidly. We would encourage you to add one sustainable activity to your lifestyle periodically. For business people, add one sustainable activity each quarter. For families tied to school schedules, add one sustainable activity during the first half of the school year before Christmas, one activity from Christmas to the end of the school year, and finally one activity during the summer break. If you pay attention to adds, you can get bags for free or $1. Our grocery store gives 5 cents credit per reusable bag that is used. Shopping every week, payback on reusable bags can be as soon as 5 months. We are hoping to reduce our grocery bill and provide healthier food for the family. Preparing the garden did cost some money, but hopefully within a year or two we will have a net saving. Our estimated savings per month is $50-60. We do still use disposable diapers when out of the house. - Recycling usable items instead of throwing into trash, take the extra effort to find a friend or family member that can use the item. For example, an old computer not being used at our house worked well for another family with a young son. - Created automation tools for work tasks and established work related process improvements resulting in lower stress and less overtime. This leads to more time with family and improved family life. - Avoid food with "bad" ingredients such as artificial coloring, high fructose corn syrup, and artificially preservatives. The Human Life Project® includes a proposal for building Sustainable Human LIFE Communities. City case studies offer valuable incentives to transform the natural and urban surroundings as well as improve marriages and family life. Environmental incentives are seamlessly integrated with the social needs of the people. The result: our families and communities are more alive and healthy to withstand the inevitable life trials. Sustainable Human LIFE Communities are eco-friendly and family-friendly. The family is the human gateway to our communities where each new life enters, develops, contributes, and finally leaves behind the shadow of his/her hands. Sustainable patterns endure over time, preserve ecosystems, allow for growth, ensure continuation of human life, strengthen relationships, appreciate life phases, embrace children, improve the human condition, encourage co-responsibility, and enliven social interaction. Markers inserted in the landscape and urban areas could be a useful tool in detecting and measuring unhealthy patterns. Biomarkers or life markers, strategically located around the curvature of the earth, would assist in encouraging co-responsibility. The Human Life Project® envisions biomarkers monitoring not just the natural surroundings, but expanding into social and urban patterns. Nature biomarkers encompass land, water, climate, plant and animal life. Social biomarkers might include marriage, children, education, and human life development. Urban biomarkers evaluate transportation, land use, waste, energy, food, and buildings. The combined biomarkers would assist in identifying and establishing healthy living patterns for humanity. A massive demographic shift is occurring among people moving to urban areas. Paul Hawkins mentions in the introduction to the SustainLane U.S. City Rankings that “every week, over one million people are leaving the country and moving to the city.” Unfortunately, families raising children are pushed to reside an increasing distance from the city center. The Human Life Project® believes that improving quality of life must include a renewed effort to address family households living in urban areas. The community effort is two fold: addressing the physical environment and human rights. The United Nations Universal Declaration of Human Rights outlines fundamental areas to improve the human condition including education, jobs, motherhood, and family. The word, everyone, appears 28 times and unites the human family around the world. While the Universal Declaration of Human Rights was adopted sixty years ago, many of the statements have yet to be fully realized. Thus, the Human Life Project® applies an acronym for LIFE to facilitate improving the human condition: love, investment, family, and everyone. The family is the place where new residents are either welcomed with open arms or turned away. Jaime Lerner, former three-time mayor of Curitiba, Brazil, offers a very real picture of the importance in embracing the children. “When you start to love the children, you have to love all of the children because if the city can't love those children too, then those children will grow to hate the city. And if they hate the city, they will destroy the city.” If a child is not loved from the very beginning, that child may never have the opportunity to be part of a family and the greater community. The successful characteristics of strong families and communities are outlined with a special emphasis on children. Communities are evaluated based on family household type, youth population, education, and level of care for children. The evidence demonstrates social patterns are essential to building truly sustainable communities. We are each a unique human life project. Phases of design, inspired by an architect’s design and building process, have remarkable parallels to phases of human life development from concept design during pregnancy to routine maintenance during senior adult years. Each life phase brings a new level of awareness. The collection of life diagrams leads to appreciating all life’s phases. 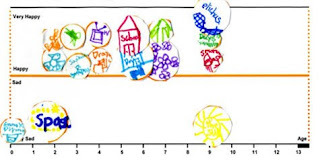 A life diagram is a graphic snapshot of the most significant days and events in a person’s life, showing the impact over time and emotions experienced. Children, adults, and families are encouraged to make their own life diagram and revisit it every few years. Life diagram’s are helpful to gain incite into sustainable patterns. Sustainability of humanity is directly connected to the level of commitment within social relationships. Three levels of commitment are defined by the Human Life Project: compatibility, performance, and life commitment. The compatibility and performance commitment models place certain stipulations on the longevity of the relationship, ending after a period of time. Life commitment is permanent and as a result sustains multiple generations. The human heart of sustainability beats strongest in the life commitment model as exemplified in marriage and parenthood. Strengthening social relationships at home also reinforces the level of commitment between friends, neighbors, coworkers, as well as the care for the natural and urban surroundings. Learning from past relationship experiences can help guide the next generation towards a life commitment mentality. The Human Life Project ® introduces the family as the human gateway to our communities. The family gateway provides an identity for each person born, a support structure, and protection for each member. The importance of building a strong family gateway is reinforced by the National League of Cities: “Strong cities are built on a foundation of strong families and empowered neighborhoods that support every child.” Stability of human relationships informs the health of our families and communities. A closer study of nations around the world reveals troubling population trends; top cities ranked for environmental stewardship are experiencing a decline in the youth population. The proportion of youth to senior adults is a key indicator to determine human sustainability within our social patterns. Families and communities that implore a healthy perspective towards raising children will ensure the continuation of human life. A prevalent view today equates more people with a greater demand on the earth’s resources. However, demographic trends indicate that families are smaller, yet space allocation for housing continues to climb. Larger homes continue to be built for fewer people and more possessions. The State of the World 2004 report by World Watch Institute shows that the United States, Canada, and Western Europe consume 60 percent of all the world resources, yet only represent 12 percent of the world population. The discussion to allocate provisions is not really about human population growth, but instead, human consumption habits. Another path does exist to support more people on the earth’s limited resources. The Human Life Project defines The MORE Factor as Mobilizing Ownership in Resource Effectiveness. New technologies and green building practices are emerging that conserve on water, energy, and land. Communities that plan for future growth will experience the freedom to meet, even exceed, the challenges of providing for humanity. The Grand Canyon, one of seven Natural Wonders of the World, might appear as a pristine landscape unaffected by technical advances. However, downstream is the Hoover Dam proclaimed as a Man-Made Wonder of the World. Built in five years, the Hoover Dam made the largest reservoir in the United States, storing water and generating hydroelectric power for millions of people. The two Wonders of the World present an intriguing discussion regarding efforts to preserve and sustain life. The Rocky Mountain Institute states that “unsustainable resource use is one of the most pressing problems of our age.” The idea of human dominance over nature is being replaced with the notion of stewardship for the earth. Building large dams represents the 20th century solution for water management, with the Hoover Dam as the touchstone for this paradigm. Smaller decentralized projects are leading the way for conserving natural resources and meeting human allocated water needs. The watershed is essential to understanding the interconnectivity between land, water, and people. John Wesley Powell, the pre-eminent explorer and geologist in the Early American West, left behind a wealth of information on watersheds. Powell’s writings are used as an example to illustrate the human challenges and advantages of working with the natural pattern to sustain our families and communities. One of the greatest barriers to achieving human sustainability is the preconception that people can gain complete control over surroundings by over-riding the natural system. Working with the natural pattern offers a path to realize authentic progress by multiplying the earth’s limited resources. The Grand Staircase is an exceptional metaphor found in nature to demonstrate the importance of linkages. Spanning over miles of dynamic topographic change and millions of years, the Grand Staircase reveals contiguous rock layers in three major National Parks: Bryce Canyon, Zion Canyon, and the Grand Canyon. 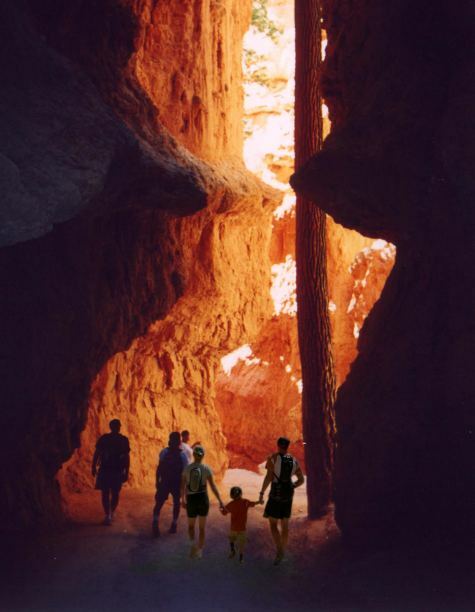 Visitors typically experience each National Park separately without considering the underlying connection. A similar occurrence happens when discussing human life’s essential aspects. The journey into understanding sustainable patterns would not be complete without the fundamental social steps which make possible the link of nature to the urban environment. To help describe some of the Human Life Project® concepts, excerpts from the book proposal will be included in this and subsequent postings. Literary Agents and Publishers: The Human Life Project® is in the process of sending the book proposal to potential publishers. If this material interests you, let us know. Communities around the world are actively striving to be sustainable by embracing earth-friendly living practices; however, environmental stewardship alone will not save our communities. The world’s top ranked sustainable and green cities are experiencing an alarming decline in essential segments of the population that uphold the entire community. The Human Life Project® provides a more complete picture of sustainability by linking the natural and urban environment with social relationships. By returning to the roots of human sustainability, communities are designed with the foresight to support each resident from the youngest to the oldest. Many organizations offer valuable resources encouraging the establishment of green cities or strong families, yet few combine both successfully. Jennifer Ranville’s book, Human Life Project: Sustainable Patterns in Our Families and Communities fills this critical gap by adding the social dimension to the sustainability discussion. Jennifer Ranville is an architect in the green building industry and graduate of the University of Michigan with a Master’s degree in Architecture, emphasis in environmental design. The Human Life Project® is the result of four years compiling research on the central role of the family in sustaining our communities. Current books on the market advocate sustainable communities only through conservation of nature, green building, and urban planning strategies. Therefore, the role of the family is limited to reducing household consumption habits by merely embracing green living practices. Connecting the two spheres both challenges and reaffirms commonly held views by the green living audience. The Human Life Project® begins with the watershed to illustrate the interconnectivity between all forms of life. The knowledge of the natural pattern of land and water working together is then applied to our communities. Jennifer Ranville’s book shows the potential for cities to welcome more people and simultaneously improve the natural surroundings. When considering essential elements to sustain our communities, nature and the family form an interlocking support structure. The family is a pivotal component today in determining which nations and cities will endure over time. A healthy balance of children to senior adults and a strong family support network are crucial to our human sustainability. Ultimately, the quality of relationships informs the social pattern language for our families and communities. Cities with strong social patterns are positioned well to direct resources that enhance the living experience for all residents. Don, thank you for the link to Agriburbia (http://agriburbia.com/) in your comments on the last blog posting. This is an interesting company that helps communities and individuals implement locally grown food, thereby increasing the standard of living and making the community more sustainable. Agriburbia also illustrates several Human Life Project® concepts. 1. Promote "soft path" solutions (http://www.rmi.org/) in which smaller, local systems (farming in this example, but could apply to water use, energy production, etc.) are used in place of larger systems. A larger system such as the Hover Dam infrastructure for storing water can have a more negative impact on the ecological system, for example, compared to a series of strategically placed smaller projects. 3. Many great solutions are emerging to make better use of limited resources. The Human Life Project® defines The MORE Factor as Mobilizing Ownership in Resource Effectiveness. New technologies and ideas like Agriburbia offer tangible solutions for communities to conserve on water, energy, and land. Communities that plan for future growth will experience the freedom to meet, even exceed, the challenges of providing for humanity. Many cities have initiated a variety of steps to renew the inner city. Baltimore was able to pull off a respectable renewal of their waterfront area in the 1990s with the completion of Camden Yard and the Ravens football stadium (http://www.mdoe.org/urbanrenewinnerharb.html). The 16th Street Mall and LoDo redevelopment in Denver is another success story. Most of these initiatives revolve around replacing or renovating buildings. Detroit's idea of urban renewal is quite radical, replacing buildings with high tech farms. If this idea moves forward, Detroit should consider adopting the Zero Waste Zone concepts that Atlanta has implemented (Zero Waste Zone Blog Entry). In particular, the idea of composting the waste food from restaurants and using this as fertilizer for the urban farms. What do people think about locally grown food vs. dependence on importing food from other states or internationally? It seems like all other ideas to revitalize Detroit (for example the casinos) have failed. Do people think that farming could help bring jobs back to Detroit, bring families back to Detroit, and be beneficial to the community? Here is an interesting article on green residential houses and how appraisers are undervaluing green technology. This results in banks only accepting home loans at a fraction of the construction cost. Thus, without significant money down, people cannot afford the houses. A consequence is that developers are only building with the lowest cost green options. Is this good or bad for the country as a whole? "As more American homeowners green their homes, there will be more and more of a premium paid for green homes," said Ben Kaufman, GreenWork's founder. "I can imagine a miles-per-gallon type sticker on homes for sale and the marketplace will absolutely favor fuel-efficient homes." The Human Life Project would like to indentify and promote the use of "biomarkers" within communities. Biomarkers would collect data and notify the community of healthy or unhealthy patterns. As a simple example, consider a buoy in the water with a light on top. When the light is green, the water is safe to swim in. When the light is red, the water is not safe to swim in. In the case of green homes, Kaufman's idea of a energy-efficient sticker that comes with the sale of the house offers a biomarker to alert future homeowners. What biomarkers do people think would make good indicators for the sustainability of the community? For example, categories such as nature might include air quality and renewable energy. Harder to measure categories under social indictors might include family stability, quality of relationships, and effectiveness of community leadership. Dr. Scott Stanley has been doing some interesting research that he calls Sliding vs. Deciding ™ (http://slidingvsdeciding.blogspot.com). The general concept is related to how one moves from a cohabitating relationship to being married. Dr. Stanley states that those that make the conscious decision to get married have a better chance of staying married. Conversely, those that "slide" into marriage are more likely to get a divorce. Thus, the longevity of the relationship is based, in part, on making the conscious decision to be in the relationship, instead of just "going with the flow". One of the goals of the Human Life Project is to find and implement patterns that lead to building truly sustainable communities. One thought is that long term relationships translates into more stable communities. In future postings, we will try to discuss "Commitment Levels" and the impact on relationships. For now, do readers of this blog have any thoughts on how committed long term relationships (or lack of commitment) impact the community?